For me it had been a pretty sub-par build-up after getting a little bit sick after the Mt Isobel Challenge the previous weekend and having to take a couple of days off school at the beginning of the week. Isobel was a pretty disappointing race for me really, having a slower time compared to 2013 both in the run and the MTB. I think this is partly due to not being as consistent with my training and also having a pretty bad taper and coming into the race too tired. Anyway, back to Queens Birthday and the first race was to be at Waioneke, previously used for the Nationals 2012 Long Distance. 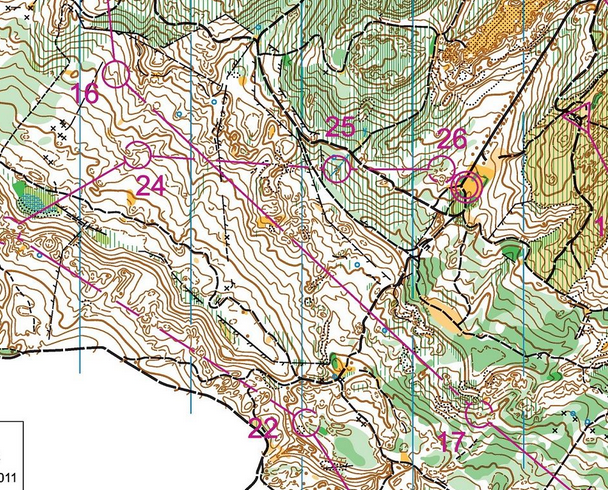 Having not orienteered for a couple of weeks it felt good to get back into it even if my running speed up the hills felt a little on the slower side. There was some tricky legs at the beginning, including a long routechoice and also one uphill sidle (8-9) which tripped quite a few people up (myself included). The end of the course went into the more open forest including the super fun leg below where the best tactic was to smash it through the forest to hit the track rather than drop or climb to either of the roads. White open forest, straight is great! Day two had a chasing start with an intense 20min (well more like 24min for me!) downhill middle in the morning followed by a tough afternoon race. The start in the afternoon was pretty awesome with the majority of the field of over 400 people starting within a 10-15min range, so there was people running out of the start tent every few seconds. I managed to catch back the handful of seconds I’d lost to Devon in the mornings race and despite a couple of separate route-choices we stayed together for the rest of the race, until the final sprint to the finish when both Deven and Matt Doyle raced to the front after I ran just past the final control in a state of oxygen deprivation. 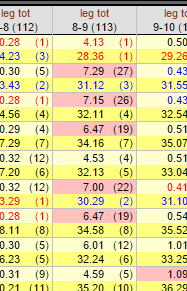 However none of us could catch the 3min lead that Matt Goodall had after his great run in the morning’s race. Otakanini Topu was the race I was most looking forward. A quick sprint round the first couple of farmland controls and then we entered the dense and detailed forest. I failed to slow down and look at the map enough through this first section which led to a messy entry to control 3 and then a horrible mistake at number 4. Although initially managing to find the correct re-entrant, I failed to run far enough up it instead convincing myself I must be in the wrong place and opting for a scenic tour of the surrounding hills before finally deciding to go out and relocate off the track. 5mins later I was 20m away from where I’d started and standing right next to the control! Possibly one of the more annoying mistakes you can make. 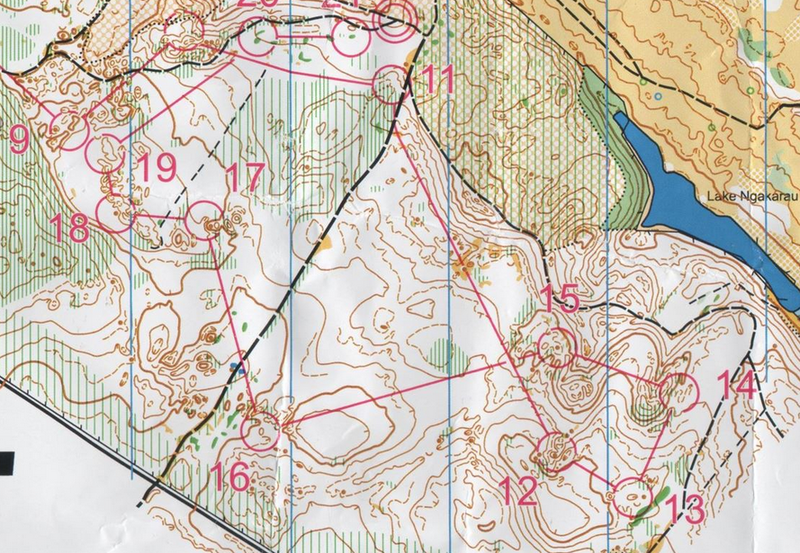 The rest of the course felt really good, especially this little loop after the spectator control where I made only a few minor hesitations and managed to catch up some of the time lost, although Matt Doyle managed to hold the lead till the end. The Australians showed their strengths over the weekend, particularly in the Junior Women where they took out places 1st, 2nd and 4th through 8th on the final day anchoring the Bushrangers to the overall win against the Pinestars, so not such a great result for us Kiwis especially in our home terrain! 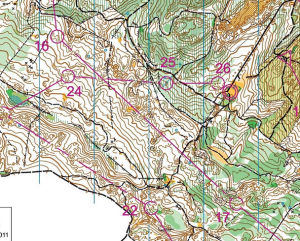 Generally I’m pretty happy about where I am a month out from JWOC. The challenge over the next few weeks will be to manage the training and get in a few last technical sessions before starting to taper off for the competition. 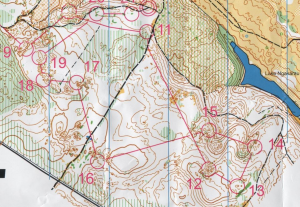 I am really looking forward to getting into the training week and finally experiencing what the much talked about Norwegian terrain is really like. Thanks to North-West Orienteering Club for putting on such a great Queens Birthday weekend! It seems like they always hold events with a little bit extra to them in terms of innovative ideas around spectator controls, events centres, live results etc.